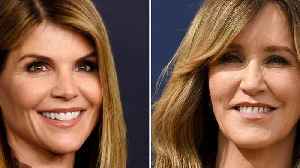 BOSTON, MASSACHUSETTS — Celebrities, CEOs and college coaches from elite universities are charged for participating in a college admissions bribery scam, reports the Associated Press. Fifty people, including Oscar nominee Felicity Huffman and Lori Loughlin from Full House as well as CEOs and college coaches, were involved in a bribery scam in which dirty rich parents paid their kids' way into top ranking schools. Among these universities are Yale, Stanford, the University of Southern California, Wake Forest and Georgetown. The cases span from 2011 to 2019. 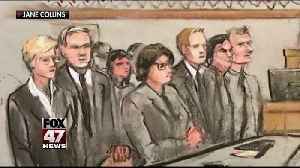 During a press conference, FBI Special Agent Joseph Bonavolonta said the parents spent anywhere between $200,000 and $6.5 million for their children's admission. According to a cooperating witness, Loughlin allegedly paid $500,000 so both of her daughters could be enlisted as recruits for the USC rowing team. The thinking behind this was that it could help facilitate their admission. Neither had experience in the sport. According to court documents, Loughlin's husband even provided a cooperating witness implicated in the scam with staged photos of their daughters on a rowing machine for the application. Their younger daughter, Olivia Giannulli, who is a 'lifestyle' Youtuber with nearly 2 million subscribers was under fire just last year for posting a video in which she said, "I do want the experience of like game days, partying … I don't really care about school, as you guys all know." Olivia has faced a lot of backlash after the allegations of bribery became public. On an Amazon sponsored-video where she gives a tour of her USC dormitory, a YouTube user commented, "Dorm room bought by Amazon, college admissions bought by mommy.﻿" Court documents show that Laughlin and her husband were told to say that their payment was a donation that would go to underserved kids. Both their daughters were accepted to USC. Huffman, on the other hand, paid a $15,000 bribe to alter her older daughter's SAT scores. The bribe was also disguised as a donation. 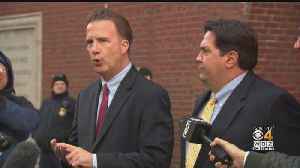 No students were charged according to Andrew Lelling, the US attorney for Massachusetts. In a press conference, Lelling said, "For every student admitted through fraud, an honest, genuinely talented student was rejected." CNN reports that on Wednesday, actresses Lori Loughlin and Felicity Huffman arrived at a Boston federal court for their initial court appearances. The actresses are part of more than a dozen people..
Actresses Felicity Huffman and Lori Loughlin arrived at Boston federal court on Wednesday. They're facing charges tied to the largest college admissions scam uncovered in U.S. history. At the same.. Athletic coaches charged in a sweeping college admissions scam pleaded not guilty Monday to taking bribes from wealthy parents in exchange for helping students get into elite universities such as..
CNN reports a dozen college coaches, sports administrators and test administrators each pleaded not guilty to racketeering in federal court in Boston on Monday. They're part of the sprawling college..
A dozen athletic coaches, test administrators and others have pleaded not guilty to participating in a nationwide college admissions scam. WBZ-TV's Louisa Moller reports.